In business and commercial litigation: McIntyre represented a major pharmaceutical company as the plaintiff in a construction case involving failed exterior metal panels and successfully obtained a settlement of over $1.3 million. He successfully defended HealthSouth in a case alleging fraud in the operation of an ambulatory surgery center. He successfully defended a British online retail company against claims including breach of contract and fraud arising from the purchase of a music-inspired clothing company that had been created by one of the founders of the band Blink 182. He has represented numerous companies and directors in shareholder litigation cases. McIntyre has obtained multimillion-dollar bad faith settlements and judgments for companies and individuals wrongfully denied coverage or benefits by their insurance carriers. He also has successfully represented clients in brain injury litigation and numerous heirs and families in wrongful death cases. McIntyre is a civil trial lawyer who represents business owners and entities in business and commercial, insurance bad faith, and brain injury/wrongful death litigation. He also serves as a private mediator and has successfully settled hundreds of cases. 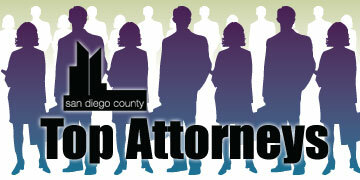 McIntyre was named a San Diego Super Lawyer in 2011, 2010, 2009, 2008 and 2007. He has tried to conclusion more than 100 cases, including 30 civil jury trials. He has obtained more than $45 million in settlements and verdicts for plaintiffs, and has obtained numerous defense verdicts, summary judgments and favorable defense settlements for defendants. 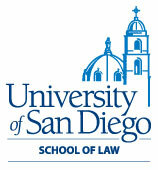 American Board of Trial Advocates, San Diego Chapter (secretary, 2011); American Inns of Court, William B. Enright Chapter (Master); San Diego County Bar Association (president, 2002); San Diego County Bar Association (vice president and Director, 1999-2001); National Conference of Bar Presidents (executive council member, 2003-2006); Delegate from the San Diego County Bar Association in the ABA House of Delegates (2005 to present); ABA Standing Committee on Judicial Independence; Rated "AV" by Martindale-Hubbell; Outstanding Trial Lawyer Award, San Diego Trial Lawyers Association, for Lugo-Thompson v. Gerber and Mineo v. The Doctors' Co.; included in the Martindale-Hubbell "Bar Register of Preeminent Lawyers"; author of over 100 articles published in California Lawyer, CAOC Forum, Los Angeles Daily Journal, Trial Bar News, ABTL Report, Dicta and other legal publications. Personal interests include law, golf, wine, history, music and dancing.